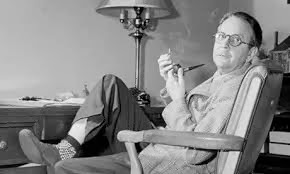 Raymond Chandler's death in 1959 marked the end of one of the best PI series ever written. 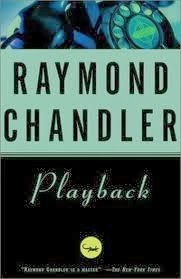 Playback is the last of the fully-original Marlowe novels, although later Robert Parker used Chandler's notes to finish his unwritten Poodle Springs. After now having finished the original seven, I'm going to skip Poodle Springs for the time being; truth is I'm sort of ambivalent about picking it up because the originals are so good. In Playback, the action begins when Marlowe is roused from a deep sleep by a phone call. On the other end of the line is an attorney, who is calling on behalf of an unnamed client. He wants Marlowe to find a woman named Eleanor King. All he has to do is to be there when the 8:00 Super Chief pulls into Union Station, identify the woman, follow her until she checks in somewhere and then report back. He'll make a hefty sum of money for what should be an easy-as-pie job. Marlowe, who always likes to know the score, has no idea who he's actually working for but takes the job anyway. After tootling around in Union Station for awhile watching the woman, he follows her to the coastal town of Esmeralda, a very wealthy town near San Diego. Like any good PI, he rents a room next to hers, and listens via stethoscope to his quarry and a man who's with her who seems to be talking blackmail. He's technically done his job, but he can't pry himself away from the case because he's not sure if this woman is bad news or if she's being set up somehow and needs his protection. 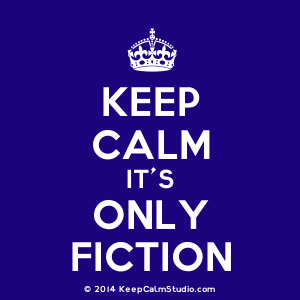 Playback is a novel that is one long conundrum -- every time Marlowe figures something out, it leads to another mystery, and getting down to the basic truth of matters takes the reader right up to the end. Of course, this wouldn't be Chandler if he didn't remark on society, and setting his novel in the town of Esmeralda (read La Jolla) makes it easy. As he untangles his way through the knotty enigmas of the case, he becomes aware of the social and economic discrepancies of this community. The rich and powerful are respected in this town, and there's very little room among their set for the the tasteless, the classless and the poor. Marlowe also spends time with an elderly gentleman who clues him in on aging and how this segment of society is often ignored just because they're old. This book might not be Chandler's finest work, but the fact that there's a mystery that keeps you guessing may be a big draw for those interested only in the crime aspect. But really, what makes this and all of the other Marlowe novels work is his humanity, his ongoing compassion and his determination to get to the truth despite the costs to himself, all while protecting his clients. In Playback, these very traits are juxtaposed against another PI, who is rough around the edges, shows no class or discernment, and is there to make his money despite what his client is asking him to do. I can most highly recommend the entire set of Marlowe novels -- as an oeuvre, they constitute some of the best writing in the history of crime fiction while remaining intelligent, sophisticated, and consistent. The plots are convoluted and tangled, there is definitely a formula attached to the works as a whole, and sometimes it's like you need to keep scorecards on who's involved with whom, etc, etc. However, if you read these books simply for their plots, you're really missing the best part -- and that is most certainly Philip Marlowe, created by the genius who was Raymond Chandler. Nancy - I think you've nailed exactly what makes Marlowe so appealing as a sleuth. And I've always admired Chandler's writing style too. It's so evocative without being overly wordy. The man was a genius. Seriously. I loved each and every second of reading each and every book, and now I'm actually going to miss this series. That's rare.